Loathers of dinnertime telemarketing do not have much time to waste — the re-registration deadline for the Wisconsin No Call List is coming up this Friday at midnight. The No Call List is a state program prohibiting telemarketers from calling registered household landlines. The program first began in January 2003 due to residents&apos; frustrations with being disturbed in their homes by telemarketers, according to Glen Loyd, information officer for the Wisconsin State Dept. of Agriculture and Consumer Protection. Wisconsin, Loyd added, followed in the footsteps of many other states by passing legislation calling for the creation of a statewide no call list. "The Federal Government has a [no call] law," Loyd said. "But the Wisconsin law is a lot tighter." The No Call law in the state prevents registered telephone numbers from receiving telemarketing calls for a two-year period. After that time is up, residents must re-register their telephone number, or telemarketers will be permitted to call them again. The law is strictly for consumer benefit, Loyd said, adding the No Call List hurts telemarketers, some of whom have resorted to door-to-door marketing to spread their messages. Re-registration every two years is necessary because phone numbers are often discontinued because increasing numbers of people drop landlines for cell phones, Loyd said. Re-registration helps keep the databases’ list up-to-date. The list reached its apex in 2003, with 1.5 million telephone numbers on it. Since then, the list has decreased by 500,000 numbers. The list may have shrunk, Loyd said, because people need to re-register their landlines every two years, and they often forget to do so. "More than 50,000 [people] per day sign up when they’re aware. … They need to sign up again," Loyd said. 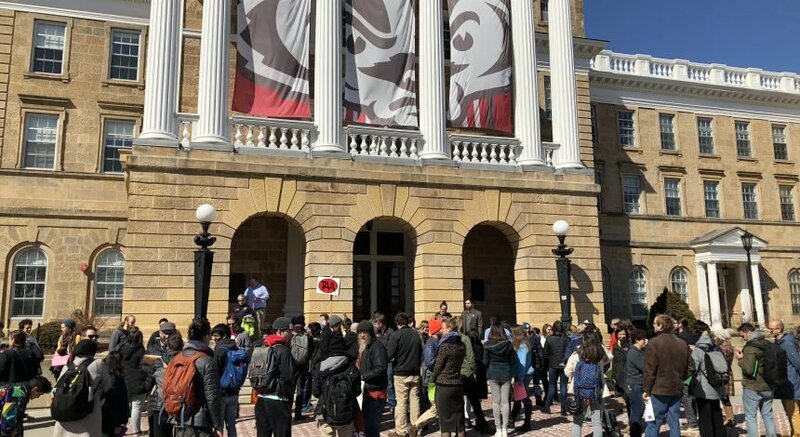 The No Call List has been one of the best things the state and federal governments have done, said Barry Orton, University of Wisconsin telecommunications professor. "It saves a lot of people a lot of time," Orton said. Orton said Wisconsin residents have widely accepted the law, but added the law may not go far enough. "The law has two loopholes: political and non-profit organizations," he said. Political campaigners and non-profit organizations are not restricted by the law and are therefore able to solicit landlines. Re-registration can be done at www.nocall.wisconsin.gov, or by calling 1-866-966-2255, Loyd said.